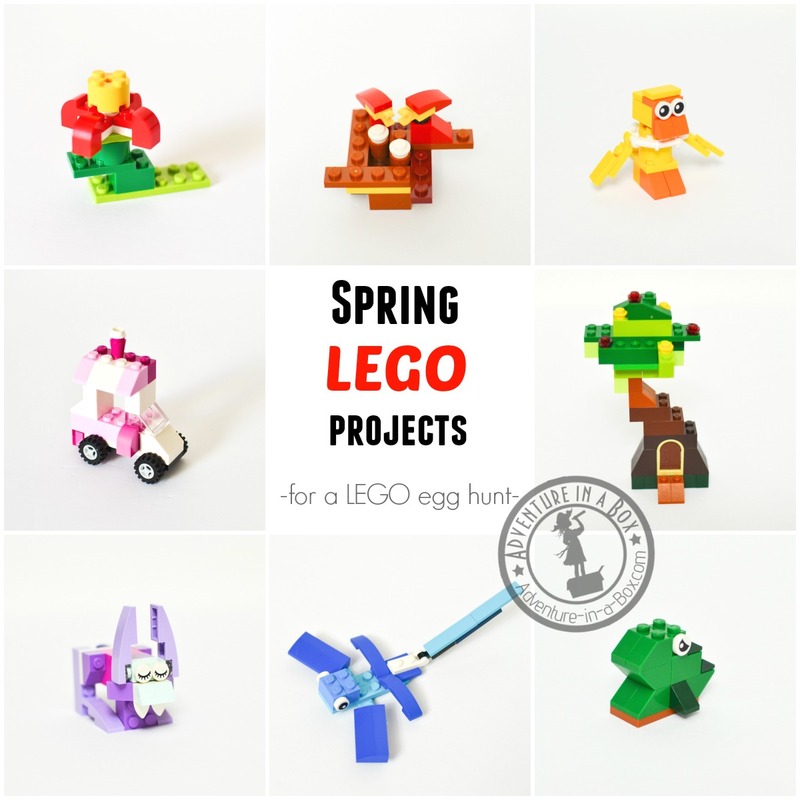 A couple of days ago, I wrote about the LEGO Easter eggs we made to fill with small LEGO surprises for our Easter egg hunt. I haven’t mentioned that in this case the chickens came before eggs – that is, we planned our LEGO surprises first. We have been working on the spring-themed LEGO projects to go in those eggs for several evenings, and they’re finally ready. When we started, the main parameter for the projects in question was their size: the sets we wanted to create had to be small enough to fit inside a plastic egg. Kind of like LEGO advent calendars. 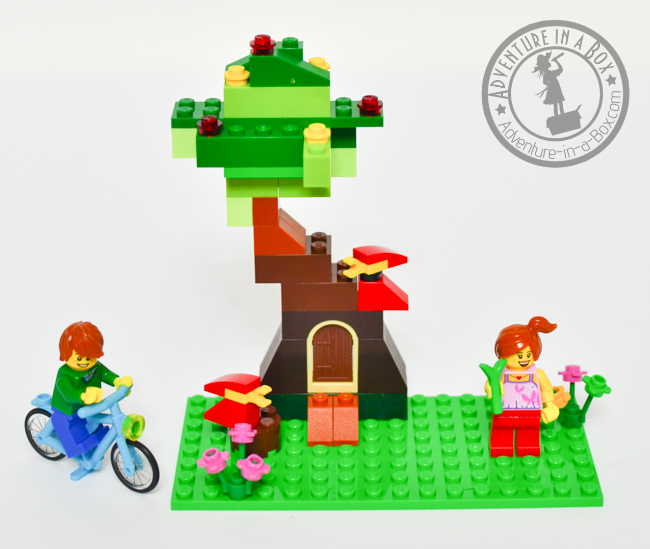 At that point, I thought, “Hey, wouldn’t it be nice if LEGO made Easter hunt kits in the same fashion as their advent calendars?” Please, pass my idea to LEGO if you can! I would be the first in line to get one. Truth to tell, for a moment I considered buying one of the leftover calendars from last year (LEGO City, LEGO Friends and LEGO Star Wars) which I would have modified to fit the spring theme better. But the idea of making one from scratch quickly won. Experienced LEGO users, creating amazing models of railway stations and football fields, might not agree, but when building on a small scale with my son, I sometimes feel that less is more. 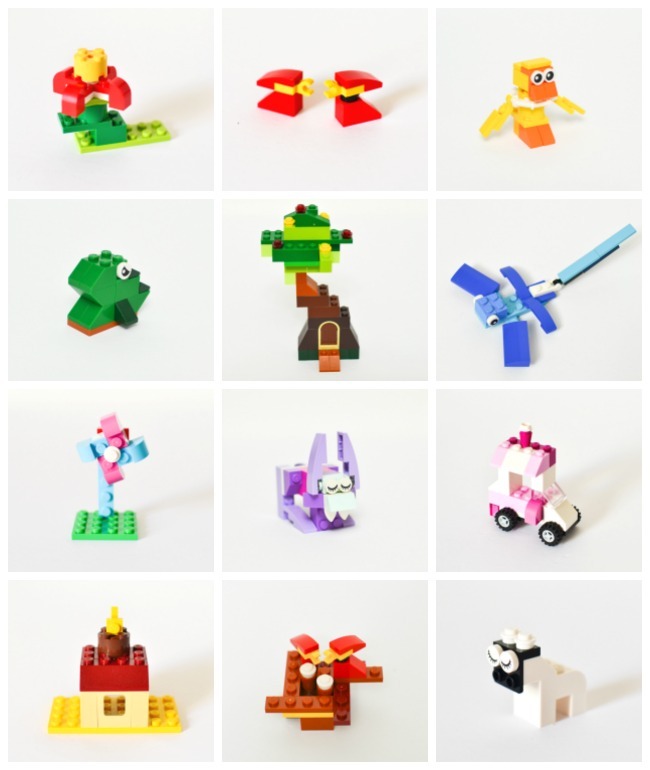 When we sit down with two big plastic tubs full of LEGO, we have difficulty finding necessary pieces, and the variety of shapes and colours can become overwhelming. When we travel and take a little box with us, we seem to create more. So I decided to limit my options to this LEGO Classic Medium box. 484 blocks seemed like a good number to start with. The plan was to make a few of our own spring-themed sets, using as many blocks as possible, then hide the rest of the blocks in the eggs randomly. That way, when Budster finds an egg with a little set, he can build one. But when he finds all the eggs with blocks in the end, he can get the original LEGO instruction booklet to make even more sets. 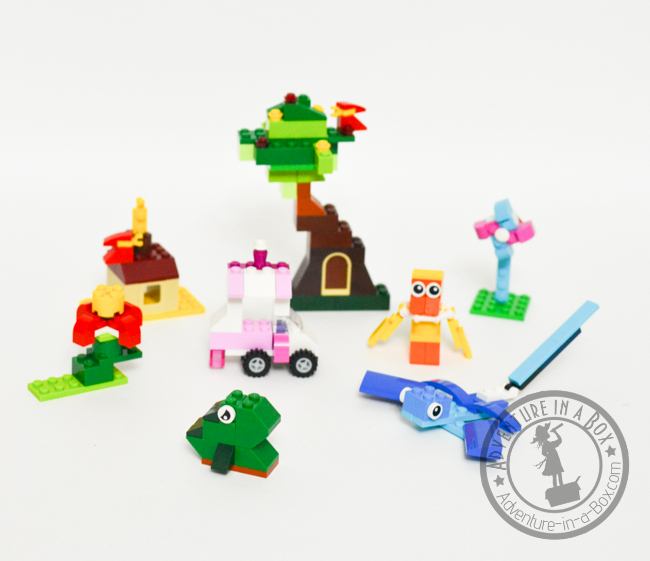 While LEGO Classic boxes encourage open-ended building, they come with little booklets that have ideas of projects kids can build. In the end, we came up with twelve projects that loosely fit the spring theme: a baby chick, a rabbit, a dragonfly, a pair of cardinal birds (male and female! ), a nest with eggs, a bird feeder, a sheep, a frog, a blooming tree with a fairy door, a pinwheel, a flower, and an ice-cream truck. Each project includes a photograph of the parts used and a couple of shots from different angles to help with figuring out how to build them. Here is the example of how the instructions look. The dragonfly below is one of more complicated ones, while the cardinals are the easiest. Print the instructions, find the parts and put them in the plastic eggs (or make special Lego fillable eggs). Of course, one of the best parts about Lego is incorporating new sets into a big ever-developing Lego world. This is how Lego people are greeting spring with these new projects we built. They look about as happy as we are about the warm weather coming! If you want to stay updated on new stories from Adventure in a Box, consider subscribing to our Facebook, Pinterest, Twitter or Instagram pages. Oh my goodness, I adore this! My kids are going to love the Easter egg hunt this year. Thank you! This is a really good idea and I will try to remember it for next Easter. Thank you I have pinned it.